I had lunch at King of Szechuan today and it was a lot of fun. The restaurant and Hot Pot came highly recommended (via @TheMarinara and @rvafoodie among others). 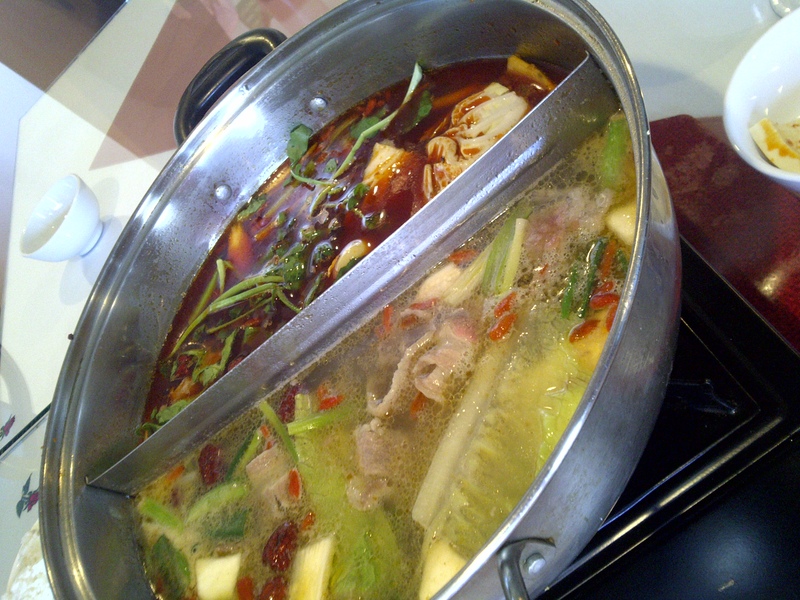 A group of 5 or 6 people can easily eat a great meal for $7 per person with Hot Pot here. I went with some family and friends, several of whom have been on trips to rural places in China with me. We have had hot pot many times in China, but none of us had ever had it here in the U.S. I’m glad to say “The King of Szechuan” has great hot pot and other food as well. I loved my meal there. I gave it 7 out of 7 points. Hot pot is a kind of soup-meal. It is served on a burner at your table. You can order from a number of options to put in your pot. It’s a fun and interactive meal event. It’s a lot more fun to have this meal with a group of people, so find some friends or invite me. 1. You order hot pot. This is simply the pot of boiling broth that is brought to your table on a gas burner. The soup cooks at the table. 2. Order items you’d like your hot-pot to include. 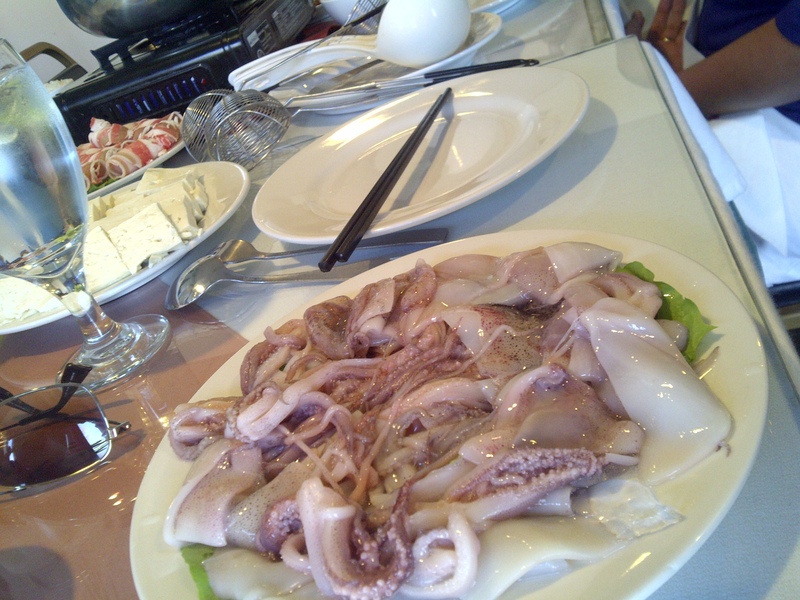 You can choose between various meats, seafoods, vegetables and tofu. You’ll want at least 1 meat and 1 vegetable. For a group of 4 people, 3 to 4 items are usually enough. These items are all brought to your table as raw ingredients on serving platters. 3. 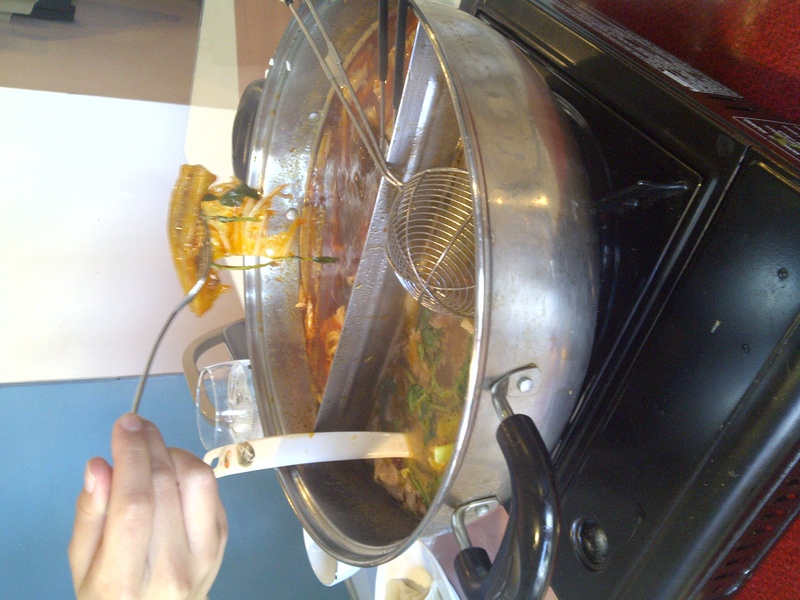 Put the raw ingredients into the pot of boiling broth so they cook at your table. As a general rule, you’ll want to put the meats in all at once, followed by just some of the vegetables. This way everything is ready to eat at the same time and you can keep adding and eating the vegetables as the meal progresses – avoiding overcooking the vegetables. 4. Serve yourself broth , meats and other ingredients using the ladle and wire strainer. 1. Don’t put your used chop-sticks or utensil into the shared pot. That’s just gross. 2. Don’t put raw meat or fish into the pot while other people are trying to serve themselves. Raw beef juice isn’t on the menu for a reason. 3. Don’t add hot pepper to the shared pot unless you’re sure everyone wants it. 4. Don’t scratch yourself there in public. Your “Don’ts” are hilarious! That looks like a lot of fun. I love this place. The food is very authentic.